Flu Allergies Sinusitis SARS treatment at home Pels nasal spray drops for children and adults shopping by traditional medicine. Available in stock. Fast shipping. Pels nasal spray - an all-natural extract. Represents a hygienic solution of the extract of the medicinal mud, diluted with purified water to a density of iodized 1,02 ± 0,005 kg / m3. Pels nasal spray contains in its structure a unique complex organo complex of biologically active substances extracted from medicinal mud, as well as macro and - trace elements in natural proportions. Pels nasal spray normalize and maintain normal physiological state of the nasal mucosa. Thins mucus and its dried fragments facilitates its removal from the nasal passages. Extracted from therapeutic mud low molecular weight polyfunctional organo compounds of humic acids, as well as a unique set of micro - and macro included in the composition of the extract to improve the condition of the ciliated epithelium, have anti-inflammatory, resolving, anti-inflammatory, desensitizing, bio-stimulating effect. Nasal Spray increases the resistance of the nasal mucosa to pathogenic microorganisms, stimulates local cellular and humoral immunity and reduction processes in patients with lesions of the nasal mucosa. Nasal drops destroy resistant viral-bacterial associations in chronic tonsillitis and other ENT - diseases in adults and children. Nasal drops Mud are paramedical means of contributing to thinning mucus and normalizes its production in goblet cells of the mucous membrane of the nasopharynx. Pharmacological action of the nasal spray is moisturizing. Therapeutic mud, sterilized and the references to an isotonic state, contribute to the maintenance of normal physiological state of the mucous membrane. In allergic and vasomotor rhinitis, nasal spray the sinus and allergy contributes washout and removal of allergens and haptens from the nasal mucosa, as well as decrease inflammation. 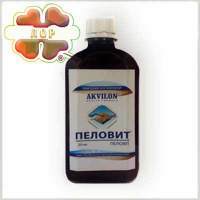 Nasal drops for children, on the basis of therapeutic muds are used in the hygienic and therapeutic goals, helps to cleanse the mucous from dust. Effect of nasal spray is associated with exposure to the ciliated epithelium of the nasal cavity. Nasal drops for the nose are colorless, transparent sterile isotonic solution odorless. Nasal Spray Pels is not a medicinal extract. Why wash your nose with salt water. The present composition of Pels: cations: sodium, potassium, magnesium, calcium; anions: sulphates, chlorides, hydrogen; trace elements: bromine, phosphorus, arsenic, zinc, copper, lead, nickel, silver; and: siliceous acid, phenols, humic acids, vitamins, hormones, biogenic stimulators, amino acids, fatty acids, polysaccharides. Irrigate the nose using saline solutions (Pels) can be for both treatment and prevention of various ailments. In the season of colds in this way can reduce the chance of infectious diseases. This procedure is often performed by people who are forced to stay a long time in a dusty environment. Rinsing the nose shown in such diseases of the respiratory system such as rhinitis, sinusitis, influenza and SARS. Properly conducted nasal lavage Pels at home is considered so safe that it is permissible to use pregnant women and infants. Many people are wondering how often to perform the procedure, and if it is dangerous for the mucosa of the nasal cavity. After all, as any other method of treatment, nasal cleansing can carry not only benefit, but harm. Yet, if you know how to wash your nose with salt water (Pels) and comply with all the recommendations, the procedure will only bring positive results. relief of nasal breathing by removing the swelling of the mucous membrane. Regular Pels diluted with warm boiled water exercise washing procedure is recommended for sinusitis, sinusitis and rhinitis reduces the treatment of diseases and accelerates the healing process. Also, nasal lavage with saline (Pels) prevents the development of unpleasant complications in running cold. Perhaps the use of a nasal spray with other drugs used for the treatment and prevention of diseases of the nasopharynx. Regular irrigation of the nasal mucosa reduces susceptibility to allergens; enhances local immunity, increasing the resistance of bacterial - viral infections. Nasal drops buy helps to maintain hygiene of the nasal cavity and nasopharynx, provides its active cleansing of allergens, pathogens, dust, mucus, and it withered fragments.